Feychting and others appear to have assumed that “A” and “B” were code for the exposed and controls rats. “The PWGs were carried out on slides that were blinded as to exposure group or control,” John Bucher, the study director and the associate director of the NTP wrote in an e-mail when asked about the Feychting rumor by Microwave News. He also confirmed that agents “A” & “B” referred to the different RF modulations. This same concern had already been raised and addressed during the internal NTP review prior to the release of the interim results last year. That report states that “A” and “B” refer to the two types of cell phone signals under study, GSM and CDMA (p.69). Feychting did not respond to a request for comment. ICNIRP invited Bucher to present the results of the NTP study at a meeting held in Munich, November 8-10. Most of what Bucher said had already been presented at the BioEM 2016 conference in Ghent last year. There was nothing new, said Martin Röösli of the Swiss Tropical and Public Health Institute in Basel. Röösli, a member of ICNIRP, attended both meetings. Less than two weeks later, on November 21, Feychting spoke at a seminar on EMF health risks held at the Royal Swedish Academy of Sciences. The meeting was organized by the Swedish Committee for Radio Science (SNRV). What she said about pathology bias is based on two reports from the meeting, which were relayed to me by my Swedish contact. One was from Lars-Erik Larsson of TeliaSonera, the dominant telecom in the Nordic countries. In an e-mail exchange, he confirmed much of what I had heard. He told me that, in her talk, Feychting had pointed out that no tumors had been detected in the NTP control group, a finding that is inconsistent with the historical data. 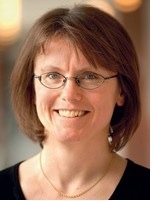 She attributed this to the fact that the “tumor pathology was not done blind,” Larsson wrote. The other report was from Yngve Hamnerius of Chalmers University of Technology in Gothenburg, who organized the seminar. Hamnerius did not answer a request for comment; he declined to share the SNRV attendance list. “This sounds like some conspiracy theory,” Melnick said. The rumor also reached Joel Moskowitz at the University of California School of Public Health in Berkeley. “It is disconcerting that a few scientists are trying to dismiss this study which is considered the strongest toxicology study ever conducted on cell phone radiation and cancer,” he told me. Some in Europe were equally skeptical about Feychting’s claim. “I have read all the reviews and never found a hint that the slides were read unblinded,” stated Michael Kundi in an e-mail from the Medical University of Vienna. Kundi is the head of the university’s Institute of Environmental Health. Telia helps pay for some of Feychting’s research and, if all goes according to plan, will continue to do so for many years to come. The company is one of the sponsors of the Swedish branch of the COSMOS Study, a multi-decade prospective epidemiological study of the health impacts of mobile phones led by Feychting. Two other telecoms, Telenor and Ericsson, also support the Swedish study. Feychting’s relationship with the Swedish telecoms through COSMOS is not included in her 2017 “Declaration of Personal Interests,” filed with ICNIRP. The section on “research support from commercial entities” is blank. A possible explanation for the omission is the mention on the COSMOS Web site of a “firewall” between the telecoms and the Karolinska Institute. What this means is hard to decipher since it is no secret that the telecoms are helping to pay for Feychting’s work. She knows it. Telia knows it. The Karolinska knows it. They all know the money tap is turned on and could be turned off. Yet, no one suggests that there may be a funding bias —or a rumor bias. Feychting was a member of the IARC Interphone epidemiological study group and has consistently challenged the interpretation that it points to a brain tumor risk. She argues that the study is flawed due to selection and recall bias in the data collection. Now, Feychting appears to be claiming that the NTP finding of excess brain tumors among rats exposed to cell phone radiation is due to pathology bias. The NTP answered these concerns long ago.